THE SECURITY GUARDS STORY DIDN’T ADD UP! TERRY LEE BEACOM CHARGED WITH MURDER! Charges have been filed against a suspect arrested in the fatal shooting of a man at 4700 Wenda about 10:35 p.m. on Monday (May 24). for the apartment complex (Beacom), he and Crockett got into a dispute while he was attempting to detain Crockett. At some point during the reported dispute, Beacom shot Crockett. Further investigation and evidence obtained at the scene discredited Beacom’s account of the incident and he was taken into custody today (May 27) without incident. REPUBLICAN ACTIVIST FILMMAKER SENTENCED BY THE FEDS! 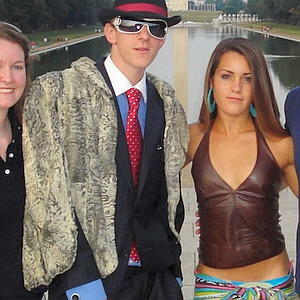 Posted in Uncategorized | Comments Off on REPUBLICAN ACTIVIST FILMMAKER SENTENCED BY THE FEDS! HE’S THE ONE WHO PRETENDED TO BE A PIMP IN THE ACORN SCANDAL! Joseph Basel, 24; Stan Dai, 25; Robert Flanagan, 24; and James O’Keefe, 25, pleaded guilty Wednesday in front of U.S. Magistrate Judge Daniel E. Knowles, III, to one-count of entering federal property under false pretenses, announced the U.S. Attorney’s Office for the Eastern District of Louisiana. As a result of their conviction, Basel, Dai, and Flanagan were each ordered to pay a $1,500 fine, placed on two years’ probation, and serve 75 hours of community service within the first year of probation; O’Keefe was ordered to pay a $1,500 fine, placed on three years’ probation, and serve 100 hours of community service within the first year of probation. According to court documents, the four men met in New Orleans on Jan. 20, 2010, to discuss various topics, including possible scenarios to engage the staff of Senator Mary Landrieu in her office inside the Hale Boggs Federal Building in New Orleans and to record the interactions. 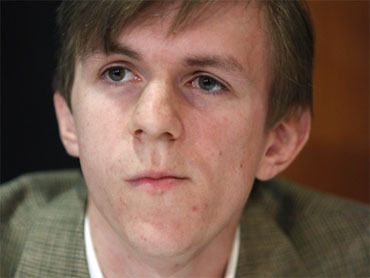 On Saturday, Jan. 23, 2010, O’Keefe called Flanagan and invited him to participate in the plan, which Flanagan accepted. The next day, Basel, Dai, Flanagan, and O’Keefe met, discussed the disguises they would wear, and practiced how they would interact with Senator Landrieu’s staff and record the interactions. At approximately 11:00 a.m., Basel, Flanagan, and O’Keefe entered the federal building and passed through the security screening. Their purpose was to orchestrate a conversation about phone calls to the Senator’s staff and capture the resulting conversation on video. Dai remained outside to provide support. Basel and Flanagan were each dressed like telephone repairmen, wearing blue denim pants, a blue work shirt, a fluorescent green vest, a tool belt, and a white hard hat. One of the hats contained a video recording device installed on the brim. TRIO ARRESTED FOR ALLEGED DRUG DEALING IN MONTGOMERY COUNTY! Posted in Uncategorized | Comments Off on TRIO ARRESTED FOR ALLEGED DRUG DEALING IN MONTGOMERY COUNTY! CONNIE GULLEY ACCUSED OF SELLING ILLEGAL SUBSTANCES FROM HER HOME! Press Release: The entrepreneurial spirit is alive and well in the Grangerland area. Unfortunately, it sometimes involves sales that are illegal in nature. Pct. 4 Deputy J. Chapa arrested two female drug dealers in separate incidents between Tuesday night and Wednesday morning. 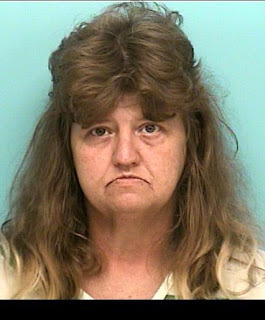 Connie Donna Gulley, 43, is charged with Delivery of a Controlled Substance (Hydrocodone) and 50-year-old Roberta Lynn Butler is charged with Delivery of a Controlled Substance (Hydrocodone) and Delivery of a Dangerous Drug (Soma). Gulley was selling Hydrocodone from her home in the 18400 block of FM 2090 east of Tommy Smith Rd. Hydrocodone is a prescription narcotic that has become a favorite among drug abusers and a major part of the drug problem not only in East Montgomery County, but nationwide. Butler set up shop in her travel trailer in the 16600 block of Prince Lane off of FM 1485 near Pickering Rd. and was arrested for selling Hydrocodone and Soma, which is a muscle relaxer frequently abused in conjunction with Hydrocodone. The arrests came less than 24 hours after the arrest of 62-year-old Marvin Claude Coats for possession of a controlled substance with intent to deliver; delivery of a controlled substance; money laundering; 3 counts of possession of a controlled substance; 3 counts of possession of a dangerous drug; and possession of marijuana. Coats too was selling drugs from his residence in the 21000 block of Velma Lane in Porter where Pct. 4 officers recovered Xanax, Trazodone, Naproxen, Hydrocodone, Skelaxin, Hydromorphone, and marijuana. Investigating officers also recovered 10 guns and a large amount of cash. Constable Kenneth “Rowdy” Hayden said his agency continues to focus on the drug problem that plagues Precinct 4 and he has a simple message. DISTRICT CLERK LIMITED IN HIS ABILITY TO PROTECT YOUR CONFIDENTIAL INFORMATION! Posted in Uncategorized | Comments Off on DISTRICT CLERK LIMITED IN HIS ABILITY TO PROTECT YOUR CONFIDENTIAL INFORMATION! Posted in Uncategorized | Comments Off on CONGRATULATIONS TO CHLOE! AN ALL EXPENSE PAID TRIP TO THE EAST COAST! Bellaire senior Chloe Griffen is one of two Houston students that have been chosen to receive an all-expenses paid trip to Washington, D.C. to participate in the Teach Africa Leadership Summit. The day-long Teach Africa Leadership Summit, which will take place at the State Department June 2 – 3, informs students about African culture and policies through workshops with Africa experts, diplomats, and policy-makers. Chloe will learn about conflict resolution, cultural sensitivity, women’s empowerment, and global leadership. Chloe was selected for her interest in African or international affairs and achievement in the classroom, student organizations, and community service. 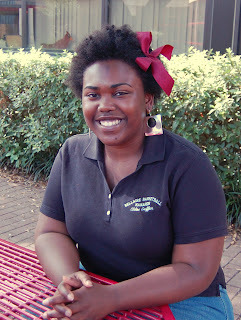 As a member of the Houston World Affairs Council, Chloe was familiar with the Teach Africa education initiative and had attended the Teach Africa program that was held in Houston in 2009 as a joint project of the USAID, The Africa Society of the National Summit on Africa, and the World Affairs Council. Chloe’s long-range plan is to study abroad in Africa during her university years. This fall, she will enter Grinnell College in Iowa as a freshman. Chloe learned about the Washington program through College Counselor Marlene Rubin in the BHS College Center. While the Africa summit will be only a day-long event, Chloe plans to return to Washington, D.C. later this summer with the Houston Areal Urban League. HOUSTON POLICE CHIEF IN WASHINGTON FOR MEETING WITH US ATTORNEY GENERAL! 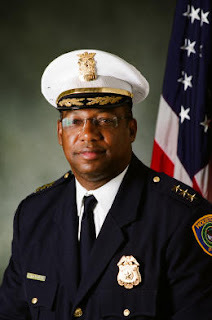 Posted in Uncategorized | Comments Off on HOUSTON POLICE CHIEF IN WASHINGTON FOR MEETING WITH US ATTORNEY GENERAL! MCCLELLAND: IN HOUSTON WE’RE CONCERNED ABOUT CRIMES AND PEOPLE WHO REPORT CRIMES REGARDLESS OF THEIR IMMIGRATION STATUS! It was a day of big wigs in Washington, D.C. this morning and there is always a Texas connection. Members of the Major Cities Police Chiefs met with US Attorney General Eric Holder on the immigration issue. Police Chiefs from nearly a dozen cities wanted to make it clear laws like the one in Arizona would only hurt efforts to solve crimes in Hispanic communities. The members of the national group say dealing with immigration issues in their cities is the responsibility of the federal government. Among those speaking on the steps of the Justice Department was Houston Police Chief Charles McClelland. Here’s the video of his brief response in the 20 minute long press conference! PRIVATE SECURITY OFFICER SHOOTS AND KILLS 20 YEAR OLD: WAS THE SECURITY GUARD JUSTIFIED IN HIS ACTIONS? Posted in Uncategorized | Comments Off on PRIVATE SECURITY OFFICER SHOOTS AND KILLS 20 YEAR OLD: WAS THE SECURITY GUARD JUSTIFIED IN HIS ACTIONS? BAD BLOOD BETWEEN FAMILY MEMBERS AS MISSING GIRL IS FOUND! Posted in Uncategorized | Comments Off on BAD BLOOD BETWEEN FAMILY MEMBERS AS MISSING GIRL IS FOUND! COMING TOGETHER FOR DANTE’ MOTEN! Posted in Uncategorized | Comments Off on COMING TOGETHER FOR DANTE’ MOTEN! THERE’S STILL TIME FOR YOU TO HELP OUT! Dante Moten is one of those teenagers who is very lucky to be alive literally. The 16 year old was involved in a car crash back in February and was thrown from the vehicle. Relatives say the high school student actually died and came back to life. While Moten survived there is still a long road to complete recovery. The once active and enthusiastic teenager was left paralyzed. Dante may be wheelchair bound but his spirits are still very much high. Dozens of people came together this weekend to support Moten’s recovery effort. The family of the young man is trying to raise money to help with his rehabilitation. His uncle Mike Moten invited the Insite to the first fundraiser in North Houston over the weekend. From classmates to members of Houston Hard Riders were there to support Dante. Here are some of the pictures I snapped as many stood by Moten’s side on his road to recovery! MONTGOMERY COUNTY JUDGE SALUTED FOR KEEPING KIDS IN SCHOOL! Posted in Uncategorized | Comments Off on MONTGOMERY COUNTY JUDGE SALUTED FOR KEEPING KIDS IN SCHOOL! JUSTICE OF THE PEACE JAMES METTS! Judge Metts has significantly reduced the truancy rate in Pct. 4, which includes not only New Caney ISD, but also Splendora ISD and a portion of Conroe ISD. 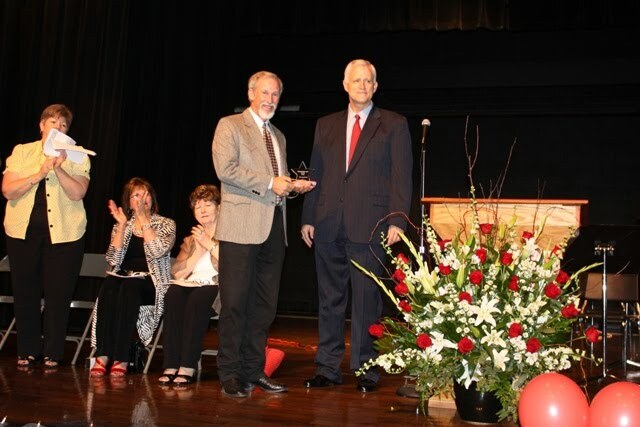 In his acceptance speech, the Judge said New Caney ISD was the first school district he met with to discuss the truancy issue when he was judge-elect during the summer of 2002. “I gave them my word I’d work hard to improve attendance and I’m thankful for the school officials who make my job easier,” Judge Metts said. Since taking office in January 2003, Judge Metts has heard over 30,000 truancy-related cases. The Judge said the efforts of many went into the successful reduction in truancy, including Pct. 4 Juvenile Specialist Jane Landers and Juvenile Case Manager Dianne Rogers. He said working with school children was a lifelong dream of Rogers’. Both Landers and Rogers do an outstanding job, he said, as does the office of Pct. 4 Constable Kenneth “Rowdy” Hayden. “We call him Rowdy on the spot,” Judge Metts said. He also praised the efforts of Montgomery County Juvenile Probation officers, school district police and school officials. In addition to helping set children on the path toward becoming productive adults, the Judge said improving attendance reduces juvenile crime, which benefits the entire community. Judge Metts said he never intended to gain recognition through his efforts to combat truancy and was humbled by the award. “You can count on me,” Judge Metts said. WILL WE BE ABLE TO SWIPE AND DRIVE IN HOUSTON? 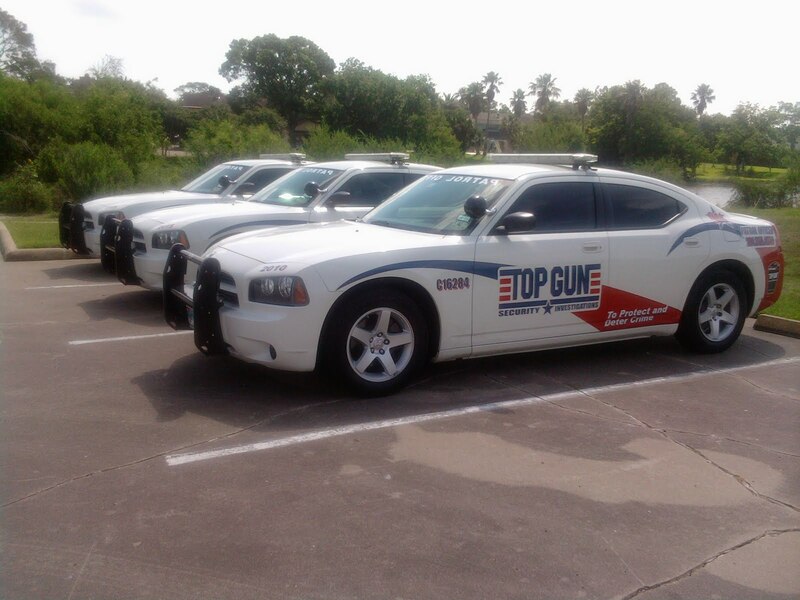 Posted in Uncategorized | Comments Off on WILL WE BE ABLE TO SWIPE AND DRIVE IN HOUSTON? HAVE YOU HEARD ABOUT THE CAR2GO PROGRAM? I spent most of last week in Austin and something caught my attention. 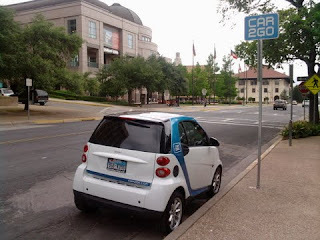 There were several blue and white Smart cars parked on downtown corners. The program is called Car2Go. It’s a environmental friendly car rental program. It allows drivers who want to pick up a car off the nearest corner to simply go online, register, then swipe your card on the vehicle, and you’re off. You can drop off the car at the nearest Car2Go corner where there are signs clearly posted. The program was initially designed for Austin city workers. Just last week the rental program was expanded to the general public in Austin. The cars are compact and I’m told they cut back on the emissions into the environment. A computer check shows the cars rent for $12.99 a hour or no more than $65 a day. When I witnessed the convenience of the Daimler powered program, I wondered when will Houston have Smart cars parked on every corner. It’s a question I’m working on as we type! MEET THE GUY WHO PREPARES YOUR DRINK AND DISHES OUT GOOD ADVICE! Posted in Uncategorized | Comments Off on MEET THE GUY WHO PREPARES YOUR DRINK AND DISHES OUT GOOD ADVICE! KEITH LLOYD IS IN THE INSITE SPOTLIGHT! You’ve heard the saying any good bartender has to be a jack of all trades to his or her clientèle. That includes counselor, friend, and confidante. Throw in executive chef, war veteran, entrepreneur and that’s when you’ll get Keith Lloyd. He is that bartender at Smith and Wollensky on Westheimer in Houston. Because of the upscale nature of the restaurant The Insite is not really a frequent customer. However, on Sunday a group of my friends told me I had to go. Not for the food or drinks but to meet the bartender who was the coolest. I now agree with those friends. The patrons who frequent Smith and Wollensky lean more towards the well heeled side of the social economic scale. But Lloyd treats the working class as if they were just as important. He also has an ear for everyone who sits down at his bar. Despite his short tenure (3 years and counting) at the restaurant many of the regulars already know him by name. Lloyd says by trade he is an executive chef. When the country was hit by that rough economy a few years ago Lloyd found himself out of work at a Houston area country club. He served as the executive chef. The former military man who fought in two wars was not ready to give up just yet. He pulled himself up by his boot straps and landed at Smith and Wollensky’s. The upscale eatery is not the end of the road to the knowledgeable barkeep. Lloyd tells the Insite he’s on track to start his own magazine. It’s already been named ‘Nu Flavorz.’ The focus of the publication will be advice and tips on how to make the most out of your visit to a restaurant or eating establishment. Lloyd, who’s also a husband and father, hopes to open his own restaurant one day but he acknowledges that’s further down the road. For now you can catch Lloyd serving drinks and dishing out advice to all of his clients at Smith and Wollensky. If you get a chance make sure you go by and say hello to the jack of all trades!